Are you aware of how many quartz configurations there are? Did you know that the way that crystals form has a strong relationship to how effective they are to assist your healing? While it is helpful to choose crystals on the specific type of crystal, such as the particular variety of quartz, like Amethyst or Rose Quartz for example, that's only part of the story. In addition the way the stones are formed and their specific configuration can have a benefit when you are using them for personal growth and/or healing. While the actual variety of quartz does effect what their metaphysical attributes are, how an individual crystal is structured can be an additional and quite valuable part of how they may work to aid your healing. You may be aware that the metaphysical properties of quartz are commonly looked at in relation to the individual crystal types, but it is still helpful to look at how a stone you are using is configured and its habits. Knowing this can be useful, as a crystal's formation may enhance its action, so being aware of the meaning of a stone's structure can be an advantageous addition to your knowledge. Over the years different authors have given the quartz configurations distinct names, and some may even be called more than one name. Various writers have given these formations their own specific names, when they discuss their metaphysical attributes and healing properties. I have done quite a lot of research and have where possible detailed the most well known names that are used by writers, and have listed these in the in-depth sections about each of the quartz formations, further down the page. So if you are looking for details about one of the quartz configurations, check further down to see if it has another name. Large numbers of crystals are being found and removed from the earth, and once you learn their very individual attributes, you can use them to assist your personal healing. The list of quartz configurations has been split into two sections, the first part is on this page. The second part with the meanings of the other formations is on another page. Click Here to go to the other page. There are two lists below, containing a large number of distinct quartz configurations. The list of quartz configurations was split into two sections, with the meanings of the formations in the following list on this page. Quartz Configurations or Formations shown on this page: Grounding, Growth Interference Quartz, Isis, Japan Law Twin, Key Quartz, Laser Wand, Lemurian Seed Crystals, Manifestation Quartz, Overcoat Crystal, Phantom, Quartz Clusters, Rainbow Quartz, Record Keeper, Sceptre, Seer Stone, Self Healed Quartz, Singing Quartz, Tabular, Temple Heart Dow aka Trans-Channeling, Transmitter aka Integration Crystals, Trigger Crystals, Trigonic, Twin Crystals and Window Quartz. As there are a large number of quartz configurations on the list, I divided them into two sections, the list above and the list below which is on another page. To read about the crystals listed below which are covered in detail on a different page, simply click here to go to the other page. Quartz Formations List: Activation Quartz aka Time Link Portal, Barnacle Crystal, Beta Quartz, Bridge, Burr, Candle Quartz, Cathedral aka Lightbrary, Channelling aka Initiation Crystals, Crater Crystals, Cross Quartz, Crystal Balls or Spheres, Devic, Dolphin Crystals, Double Terminated, Elestial Quartz, Empathic Warrior, Enhydro, Etched Quartz, Extra Terminations aka ET, Faden Quartz, Fairy Crystals, Fenster, Generator and Geode. 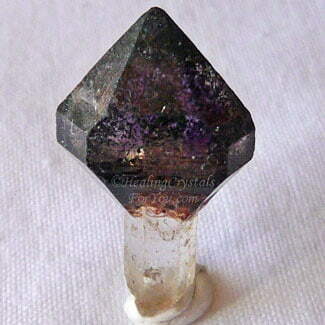 Grounding crystals are not common, and are characterized by the main face on these crystals being a large eight sided face. These quartz configurations are very helpful to assist you to deal with your life in a more down to earth way, and they may assist you to work out how to rearrange your life so you can achieve more. They help you to make a deeper connection with Mother Gaia, and may help you to be more in touch with the reality of who you are. They can be used to help you to create a better connection to spirit, which makes them wonderful crystals to use for meditation. These are powerful healing crystals for you to use as they are known to assist the healing of difficult health problems that have not responded to treatment. Growth Interference Quartz crystals are formed when another mineral comes in and lies on the crystal during its growth period. Later this other mineral dissolves away, leaving lines like carvings on the crystal. These quartz configurations are known for the quite obvious section on them that looks like its been cut by a sharp saw. They have quite beneficial qualities that may assist you when you are accessing the higher realms. 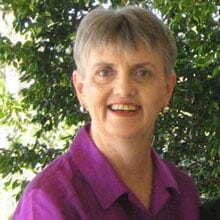 Their energy helps to remove any hindrance that is standing in the way of your spiritual progress. This energy is also helpful to remove energy blockages, and this vibration will align the chakras, and may be used for kundalini activation. They are excellent healing stones, and will help you in many different ways. They are also good protective stones, specifically for protection from physical danger, and are said to be particularly useful to protect children. 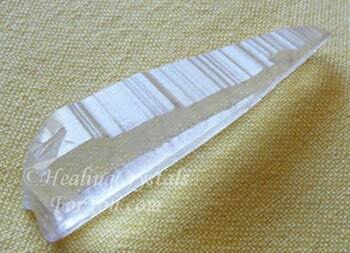 Isis Quartz crystals are commonly clear quartz, but they may occur in other varieties of crystals. 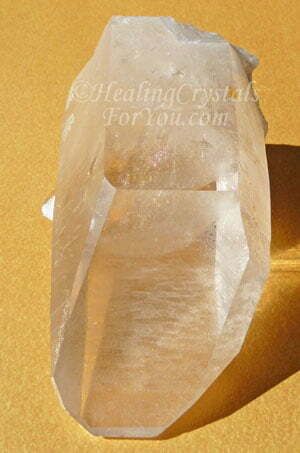 The major way of identifying these quartz configurations, is that the primary face on the crystal has five sides. As well, the two top sides of the face are longer than the two bottom ones that join the base. These crystals are also known as Manifest Spirit Crystal, as the five sides form a pentagon, a major spiritual symbol that aids your connection to spirit or the Divine mind. They are named for the Egyptian Goddess Isis, and their energy is also associated with Mother Mary. The sides are also said to represent the five elements, earth, fire, water, wind and storm. These are amongst the most gentle yet powerful crystals that you can use for healing, as they have a beautiful sweet nurturing energy. Their vibration is excellent for healing emotional issues, and they have a strong feminine vibration. They are useful for healers to use in their healing practice, as they may prevent you from getting drawn into others energy, especially if you find similarities between their situation and yours. 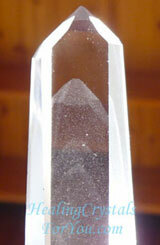 Japan Law Twin crystals are one of the less well known quartz configurations. They form in two different configurations, one where the stone is V shaped, with have a thin tabular aspect, and another formation where they look a little like a butterfly. 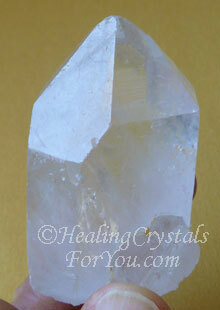 The metaphysical properties of these quartz crystals relate to their function to cleanse the auric field. They have a good action to help to clear the aura of the build up of negativity, and help to lessen any muddiness within the subtle bodies. They help you to understand the dissimilarity between the physical state and the spiritual conditions within your auric field. They have good healing action in the body and may aid the restoration of the health of the cells of the body. They are known to help you to feel more positive, and may assist you to release feelings of anger, and to view the future more optimistically. Key Crystals have a quite obvious cavity in a face of the crystal, and this cavity is usually a penetrating three or six sided indentation, like the one shown here. This small crater or hollow is caused by another crystals presence during the growth of this crystal, which later is removed. These quartz configurations have an excellent action to aid you to open yourself to new healing methodologies or ideas, and may also help you to discover hidden aspects of yourself. Use them to find answers to unsolved questions, and to assist you to make decisions about your life journey. Laser Wands are naturally occurring long slim crystals that are usually fatter on one end than the other, even if only slightly. They may be a classic double terminated crystal, which are powerful healing tools, or they can have one termination point. Double terminated laser wands will both receive energy and transmit it from both ends of the crystal, this makes them wonderful tools to utilize when doing healing. Healers recognized that these quartz configurations had a very strong energy, and that it could be channeled using these lovely healing tools. So the natural next step from the use of these natural wands was to make man-made carved wands, that resemble the natural wands. 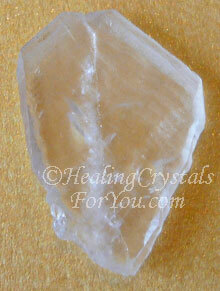 Lemurian Seed Crystals are commonly clear quartz, but they may also be golden healers, like the one pictured above. Some are even green. It is the various minerals in the soil of the area where they are found that creates the green or golden color... and these more unusual colors are now becoming quite sought after. 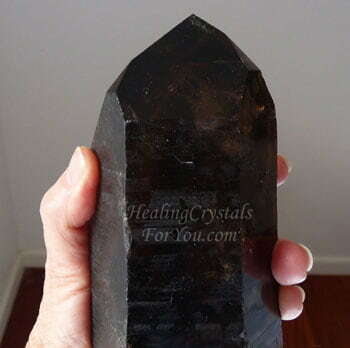 The Golden Healer Lemurian Quartz Crystals that are now commonly being discovered, come from earth that has a high level of iron-hydrate in the soil where they formed. This may be a covering on the outside as well as within the crystal. 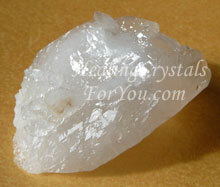 This gives them extra attributes on top of the normal qualities of this type of crystal. 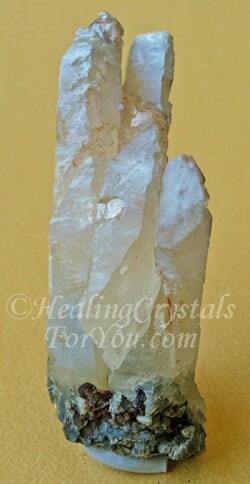 Lemurian quartz crystals have specific attributes that make them powerful crystals to use for healing. These quartz configurations are commonly used by light workers, individuals who have chosen to work on aiding the planet and humanity at this time. They are also excellent healing stones, and are especially helpful for personal healing, particularly of emotional issues. The best way to use them is in meditation, when they can be used to retrieve ancient information about the Lemurian people. 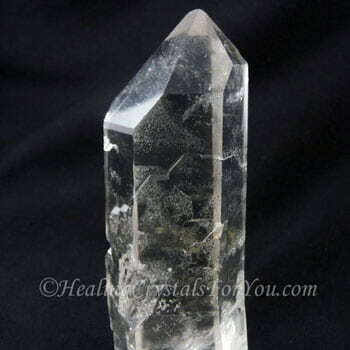 Manifestation Quartz are crystals that have another smaller crystal growing inside the body of the larger crystal. These crystals are helpful to aid you to manifest those things that you desire in your life. 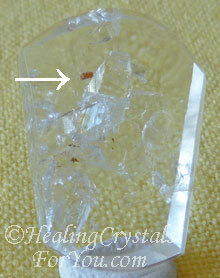 Manifestation Quartz with a small clear quartz crystal inside, near where the arrow is pointing. You do need to be totally certain, with no ambivalence about what you want in order to manifest these desires within your life. 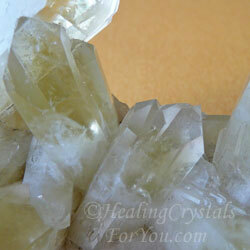 If you are able to use a crystal in one of these quartz configurations correctly, they may aid creativity. They may also bring about an increase in specific aspects of your life that you desire. They may also help you to discover what path you should be on, to enable your greatest good. 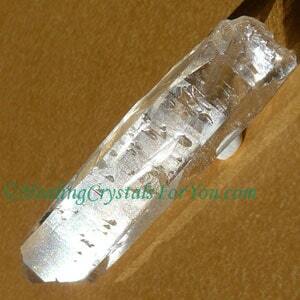 Overcoat Crystals are clear quartz crystals, that have a coating of white or light colored mineral over them. The coating can also be felt when you run your finger over it. The coating makes them somewhat opaque, and they may or may not have inclusions within them, like the one shown in the photo. These quartz configurations are an excellent asset for anyone who has had experiences where they feel dis-empowered by the actions of others in their life. These are helpful crystals for you to use if you are a women who feels you have been dominated by a man or men in any part of your life. They may also be used if you are a man who feels that others are dominating you and stopping you from achieving your life potential. Phantom Quartz crystals may also be called ghost crystals or shadow crystals, as they have a ghost like form embodied within the crystals. This formation is caused when at some time during their growth they stopped growing and a layer of another mineral was laid on the crystal. When they resumed growing, and this may have been hundreds or thousands of years later, they grew around the mineral that was present and this caused an obvious shape inside the crystal. 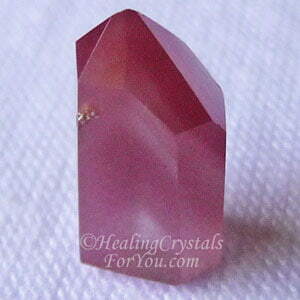 Commonly this phantom shape is the same or a similar shape as the crystal that it is inside. The metaphysical properties of quartz crystals that contain phantoms may be different to one another, depending on the included mineral. 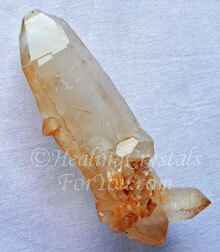 In a general way these quartz configurations are excellent to use to aid spiritual growth. They may help you if you are undergoing transitions of any sort within your life, and they symbolize both growth and evolution. They are known to be helpful when you undergo past life work, as they may assist you to access the Akashic records and gain information about past life karmic situations that are impacting your current life. They are stones of universal awareness, that may aid you to renegotiate or resolve soul contracts and aid your overall spiritual journey. Quartz Clusters are some of the most widely sold quartz configurations. They can be large or small, and if they are large they can embody a combination of different crystal configurations. Generally speaking a cluster is a group of crystals growing together and that are joined because they have grown together. My gorgeous Clear Quartz Crystal Cluster. A Bridge Crystal with many twin soul mate crystals, & it's also a Barnacle Crystal, as it has many tiny crystals growing on it! 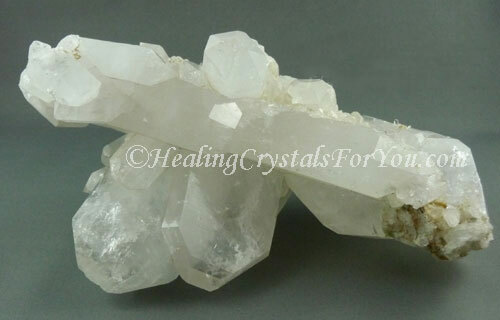 There are many excellent reasons why you might wish to have a quartz crystal cluster in your environment. Firstly as quartz resonates very strongly, each of the points in a cluster will strongly resonate, sending a healing vibration into the environment where they are located. Clusters are excellent quartz configurations to boost your personal energy, and the larger the number of points in the cluster the stronger will be the energy they will send out to you and everyone in the area. They are excellent crystals to use if you are a healer or a teacher, to have in the room to enhance the energy and bring peace and harmony to everyone present. Rainbow Quartz Crystals come in two different types. The first type of rainbows may be caused by fractures within the stone that causes a prismatic effect, and exhibits lovely rainbows. The second type of Rainbow Quartz are crystals that have inclusions of rhodium, which allows them to exhibit lovely rainbow areas on the surface of the stones, rather than within them. This may be seen in Aurora Quartz specimens which are also known as Rainbow Quartz. The Smoky Elestial Quartz Crystal in the image above, is also a type of Rainbow quartz as the crystal contains rainbows within it. These quartz configurations can easily be identified as the rainbow is clearly evident in the stones. This enhances the vibration of the stone and helps you to deal with negativity. The stone meanings relate to you being able to see that love is within your life and that you can have these feelings within you if you desire it. The many colors in the rainbow mean that its energy will resonate to all of the chakras, and it gives greater depth to the intrinsic energy of the stone. Record Keeper crystals have clearly defined triangles on one or more of the faces of the piece of crystal. This was a completely clear quartz crystal when I obtained it quite a few years ago, and it was one of the first crystals I bought. The triangles both popped up and sunk simultaneously, and this stone has both raised triangles and sunken triangles within the one stone. An interesting fact about record keepers is that the triangle may suddenly 'pop' or simply appear on a crystal that did not previously have any on it. There are two types of Record Keeper quartz configurations, the raised record keeper and the sunken record keeper, although the first is more common than the second. Raised record keepers will assist you to retrieve ancient information about either your past lives or your genetic lineage. Sunken record keepers are like chinks, that look like they have been cut into the stone, and these are said to be the true record keepers. You can see one of the chinks in the crystal in the image above right, on the left hand side of the crystal, close to the bottom of the image. Sunken record keepers are stones that have been programmed at a point in the past, and it is commonly thought that it was by the Atlanteans. They left information embedded in the stones that can be of great benefit to the user. If you have one of these stones, you can access this information during meditation. But it is said it can only be retrieved by the soul who originally programmed the crystal at a time in the past, perhaps in a past life. Triangles on the faces of crystals facing downwards are now known as Trigonic Quartz. Triangles on the faces facing up or sideways are known as record keepers. 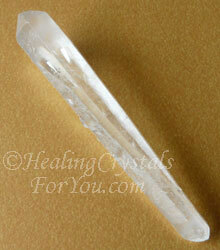 Sceptre Quartz Crystals can be distinguished by a central rod-like crystal around which another crystal has formed. While most are single points, they can occur as a double or as a triple point, although these are not common. The metaphysical properties of quartz pieces in this configuration makes these quartz configurations excellent healing tools. They are known to easily direct the energy to the place where the person who is receiving the energy most needs to be healed. It is said that these crystals originated during the time of Atlantis or Lemuria. 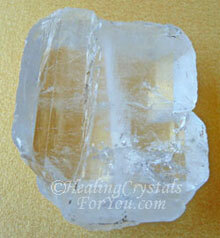 It is believed that in those times, these crystals were primarily used in healing ceremonies. 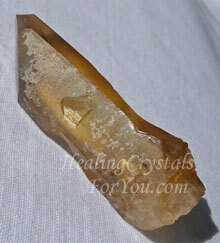 It is said that they have re-emerged so that they can be used by current day crystal healers. Seer Stones can be any variety of quartz crystal which has a flat area which has been polished so that you can gaze into the depths of the crystal. It is said that you can gain access to the records of ancient civilizations, by using such a stone as a focus of your attention. 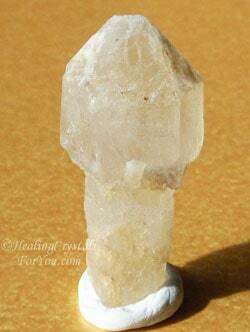 These quartz configurations have been used since ancient times, for seers to look into to divine the future. They may also be utilized by individuals for your personal healing. Seers used stones with an area that was polished to focus their mind, and they can still be used by healers to focus your thoughts and to divine what action needs to be taken to aid the healing of their client. Self Healed Quartz crystals are a variety of quartz where a part of the stone has at some time in the past broken off, or been damaged in some way, and it has healed back over. They are characterized by small crystalline patterns on the healed end, rather than a rough cut, that you might see on normal stones that have been removed from the base rock. Crystals with these quartz configurations are well known as powerful aids to use for healing, especially self healing, and are known to aid the healing of broken bones. They may teach you lessons about what issues you may need to work on in order to heal yourself. This is commonly related to emotional healing, and they are also helpful to assist you to deal with past life trauma. 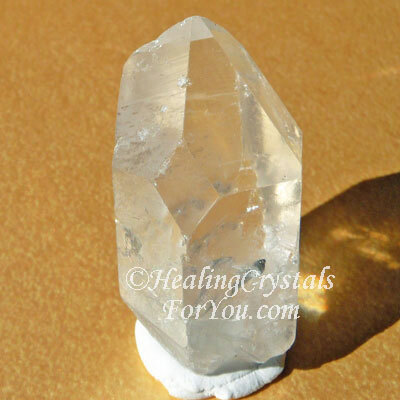 Singing Quartz are long clear quartz points, similar to look at as laser wands, that come from a specific region of Brazil, and they may or may not be double terminated. 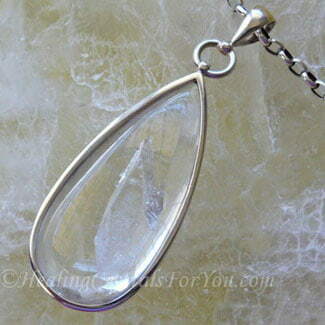 These quartz configurations have a special ability to resonate a lovely sweet tone when they touch each other. There are two types. 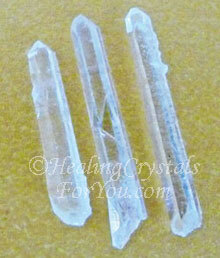 The first are the straight ones shown in the photo here, as well as a second variety known as spiral singing quartz. This particular variety has an unusual twist in the crystal, but still makes a similar ringing sound. The sound that these crystals create is said to be useful to aid you to contact extraterrestrial beings. Stories have been told that this variety of crystals was specifically created by visitors to our planet, so that messages could be sent to them. The sound made by these crystals touching is said to be vibrate on a very high sound spectrum, and this high pitched sound is said to resemble a high pitched ohm, which you may not be able to necessarily hear. Tabular Quartz is also known as Tabby Quartz. These are quite flat crystals that generally have notches on either one side or both sides of the crystals, and many are double terminated. The energy within these crystals can be activated by rubbing the notches. 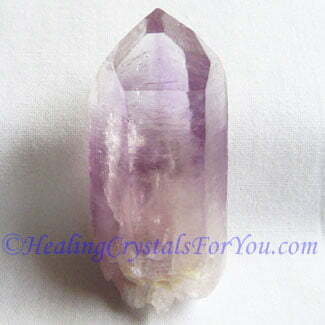 They are said to activate other crystals and are an asset to use if you wish to stimulate telepathic gifts. 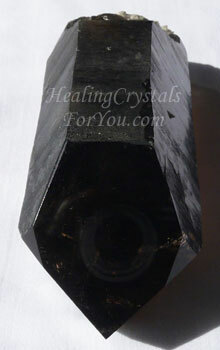 The double terminated tabbies are the most useful type to use, as like all double terminated crystals the energy will flow freely in and out of the crystal. They are excellent stones to aid communication, and may be helpful to use in meditation to aid your communication with beings in the higher realms. Temple Heart Dow quartz are a quite rare variety of channeling crystal, that are also known as Trans-Channeling Crystals. They combine the attributes of the Transmitter crystal and the Channeling crystal, being both the same as both of these, yet much more. This configuration is one of the more complex quartz formations, as they need to have a 3-7-3-7-3-7 face configuration to be a Dow. 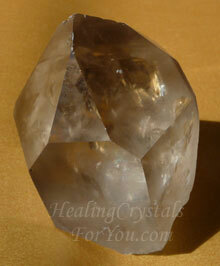 In the Temple Heart Dow Crystal, the center face is commonly a seven sided face. 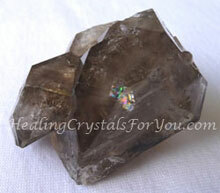 To be called a Dow, they need to have a perfect triangle on each side of this center seven sided face, like the lovely big Smokey Quartz Trans-Channeling Crystal shown above. The energy of Dows are quite unique and very different to the average piece of quartz. These lovely crystals embody the energy of Kwan Yin, who is the Goddess of compassion and healing. This is a powerful type of quartz, and these quartz configurations resonate quite strongly within the heart and higher heart chakras. 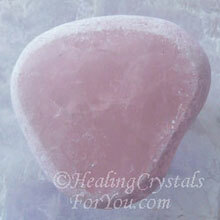 Large Temple Heart Dow crystals are powerful stones to use within a sacred place or healing room. Small stones could be made into jewelry to be worn daily, to encourage you to feel a greater level of compassion, and aid you to embrace spiritual enlightenment. Transmitter Crystals and Channeling crystals are similar quartz formations, as they have a similar structure in some ways to each other. Instead of having a seven sided face at the front, this configuration has a triangle as its main face. In Transmitter Crystals, the center face is a perfect triangle, and located at each side of this center triangle is a seven sided face. So the quartz configurations that make up these crystals are a 7-3-7 face configuration. Transmitter crystals have a strong energy that aids you to make a connection with the higher realms, and also aids the development of mental telepathy. They are powerful to use for meditation as they can assist you to make connections with angels, guides or other beings in these realms more easily. 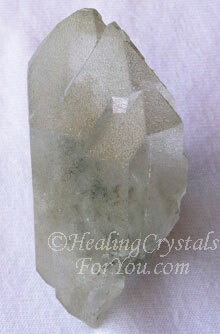 They are powerful to use combined with other crystals, particularly those you may wish to use for a specific purpose. You may choose to use them with crystals that assist you to connect with angels, or with stones that aid you to find your spirit guide, as they facilitate the journey, making it easier to work in this area. Trigger Crystals are quartz crystals with a smaller crystal that is growing out of the side of the body of the bigger, older crystal. You can use them during meditation or when doing a healing, and they are activated by squeezing the smaller crystal. This will send an extra burst or surge of energy through the main crystal, which may elevate the metaphysical attributes of the bigger crystal. Trigger crystals are particularly useful, when they are of a quartz variety, or formation that you feel would be helpful for healing a specific physical, emotional or spiritual problem that you wish to have healed. 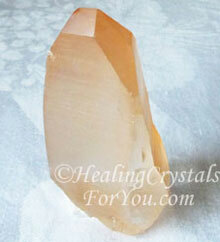 By boosting the intensity of the energy of the bigger crystal you may receive a better healing outcome. I particularly like the fact that this trigger crystal shown here is a Golden Healer Lemurian, and as well it is a double terminated crystal and a barnacle crystal. So if you had a need for any of these quartz configurations, the trigger crystal could accentuate the energy, and this crystal has an amazing energy which the trigger is powerful to boost. Trigonic Quartz are one of the less common quartz formations. These crystals can be recognized by the presence of an inscribed triangle on one or more of the faces of the crystal. This is similar in some ways to the configuration of record keeper crystals, except that instead of pointing upwards, the triangles point downwards. This configuration often occurs on Nirvana quartz, which are in themselves powerful high vibration crystals which may assist your spiritual growth. The addition of this configuration on any variety of quartz will step up the energy, as these crystals are powerful to aid journeys in the very highest spiritual realms. They will assist you to experience events from the past and may assist you to gain clarity about the future. They are a very shamanistic configuration, that can be used if directed by an experienced healer. They are used to aid the retrieval of lost soul parts and are known to help to remove negative entities. Twin Quartz crystals can be recognized by the presence of two individual points, where the body of these two crystals are growing together from a common base. 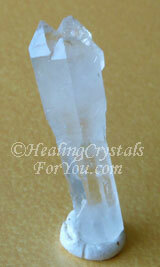 There are specific variations in the quartz configurations of twin crystals. These include Tantric twins, where the two crystals are almost the same height, with the main body of both crystals growing parallel to each other. Other types of twin crystals are twin soul or Gemini quartz, which grow from the same base rock, but they are clearly separate crystals that are growing side by side, yet almost equal in size and height. Any type of twin crystals are excellent to benefit relationships, as they help to create a better flow of emotional energy and balance between partners. These crystals are not healing tools as such, but are used by you personally to heal your relationships, although they are useful crystals to benefit other types of relationships, such as that between members of a group, as they engender peace and harmony. Window Quartz Formation is a configuration with excellent metaphysical attributes, and relate to where a diamond shape occurs in the crystal, sometimes like an extra or seventh face. The shape of this window will be a perfect diamond, positioned in such a way that the top point of the diamond connects with a line leading directly up to the termination or apex of the crystal. These quartz configurations are known to be one of the master or teacher crystals, and they can be a powerful asset to aid spiritual growth. These crystals are powerful quartz formations to assist you to honestly see your life, and can be very useful when you wish to make changes, but are not sure how to go about it and what direction you need to go in. The window in the crystal can be utilized for you to look deeper into yourself, and see the real essence of who you are. Rather than a crystal to use on others, I feel that they are personal healing crystals, that can be used to help you to gain insight into deep spiritual matters that relate to parts of yourself you have been avoiding looking at. "When I was young I admired clever people. Now that I am old I admire kind people." Abraham Heschel. Want To Read Part One Of The Quartz Formations? The information about the many quartz formations was quite long, do I divided it into two parts. The pages are divided alphabetically by the name of the formation, and this page is the second part. If you haven't already read the page about the other quartz formations, please be aware that there are more quartz formations on another page. To go to the other page and read more about the other quartz types that are not covered here, please click here.